Forgive me first for getting a little sentimental with this Bryce Canyon post. I was on an internet forum yesterday and began reading a post and photo gallery from a couple from California doing a Utah/Wyoming road trip. I was intrigued and soon found myself reading about their camping trip to first Quail Lake near St George, then their stop off in Zion for an afternoon. 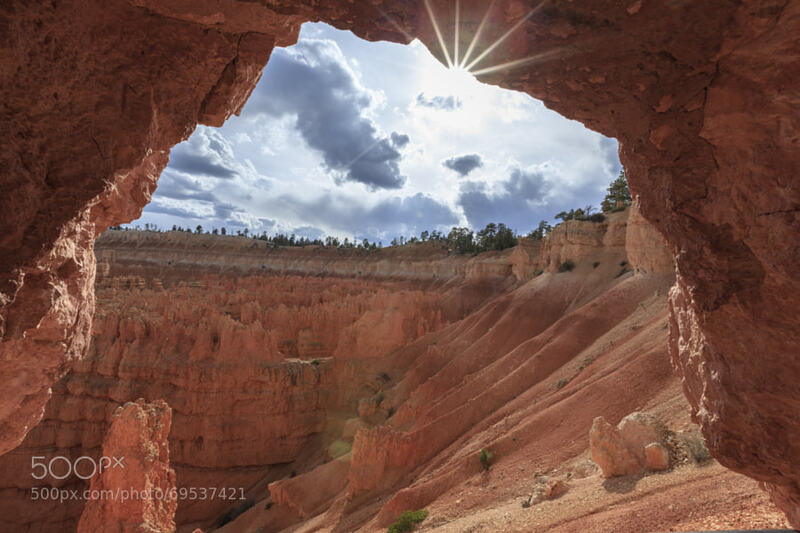 Then they moved onto showing their camping spot in Bryce Canyon, “out among the ponderosa pines” they said. Of all the national parks they saw on their road trip, the one they loved the most, the one they spoke the highest of was Bryce Canyon. They spoke of how inspiring and absolutely incredible the views of that Bryce Canyon amphitheater are. How in all of their travels they didn’t know anything could be so beautiful. How the Navajo hiking trail offered both friendly passerby’s to moments of serene silence. This glowing talk of Bryce made me sit back and think again, made me realize how lucky I am to live so near, and be able to experience the awesomeness of Bryce so easily. It made me feel a little disappointed in myself that just because I may be able to see it more regularly than others, I often miss realizing just how amazing Bryce Canyon is. How that view from Sunrise Point in Bryce (which they spoke about seeing as well, how they just sat there drinking in the sun as it slowly rose in the morning), offers you an immense feeling of gratitude to live in a time where traveling to see and experience such wonders is not only feasible, but quite easy. Again I apologize for getting a little sentimental with this post, just after reading of that couples experience and what they thought of this place, I really had to sit back and evaluate how lucky I am, how lucky we all are. You may not live just a few minutes from Bryce like I do, but no matter where you are you have the opportunity to come here. It doesn’t take a horse and buggy, or it doesn’t take months of walking; it just takes a commitment, a plan and a goal to come see for yourself. If you’ve never been to Bryce, why not now? Why not make a plan today? There’s no time like the present to see “the most amazing views I’ve ever seen in my life” – forum post.